Valentine’s Day 2018 is almost here. Which means quite a few people will be looking to celebrate the day with that someone special. For some, this might be the first time they are spending Valentine’s Day with a certain someone, while for others, Valentine’s Day will be one of the days in which they commemorate their relationship. Whichever side of the fence you fall on this year, there are a number of apps for your Android smartphone that can help with the big day. That is, help with planning for the big day or with setting the tone once the day has arrived. 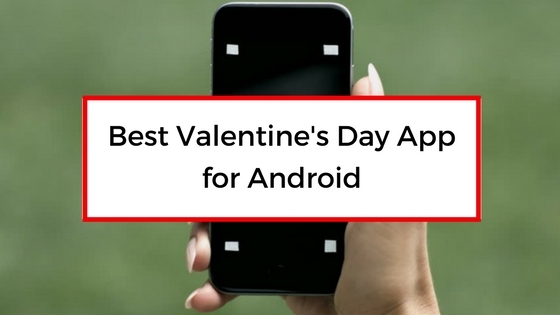 For those looking for some extra Valentine’s help this year, then here are ten of the best Android apps for Valentine’s Day 2018. Times have changed and while it is still nice to receive a physical Valentine’s Day card from someone, you can also now make use of various online and app-based solutions for greeting cards. JustWink is one of those companies and this app will let you send a variety of greetings cards to someone and directly from your smartphone. You can even create your own greeting card to add that extra special touch for that extra special someone.